Coventry taxi to East Midlands airport is available throughout the year. We have now adjusted our prices to east midlands airport even lower to suit a growing demand in Coventry. Our Services for Coventry taxi to East Midlands airport Transfers are by far the lowest in price compared to our rivals, Our drivers are full passed and vetted and reliable. Our airport taxi drivers are always on time to pick you up from any area of Coventry in one of of our taxis to Heathrow airport or to Gatwick airport. Book from all CV postcodes in coventry. Pay with cash, or Paypal. Cheaper than black cab taxis. Airport transfers taxi service for all pickups & drop offs from Coventry, CV1,CV2,CV3,CV4,CV5,CV6,CV7,CV8, to and from all UK airports. airport transfers coventry are a leading Airport transfers provider to thousands of customers who live in Coventry, Kenilworth, Warwick, Leamington spa, Stratford upon avon, Meridan, Balsall common. Our service of reliability is by far the best in the warwickshire area. Aswell as value for money. We have thousands of customers that fly in to airports all over the UK. Such as Heathrow, Birmingham, Luton, Manchester, Gatwick, East midlands, Stansted. 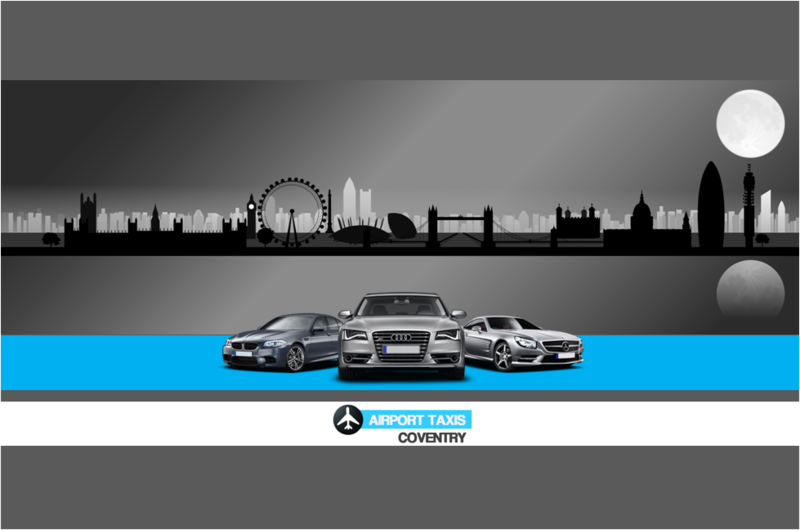 Our taxi quote form on our homepage makes it easy to book a coventry taxi online to the airport. We are also providers for long distance taxi journeys. I've used Cheap Airport Taxis for the first time today after I've been let down by other taxi companies on many occasions? I must say I was happy with the service! The taxi arrived in few minutes, taxi was clean and it's was a desirable top end Mercedes Viano, the driver was nice and very polite and the price was cheaper than what I've been charged by other companies for the same destination. Cheap Airport Taxis I must say you have gained a happy customer here! Keep it up Cheap Airport Taxis. Very good service. Nice driver. Easy communication and safe ride. Booked a taxi for 4am in the morning and Khan picked me up. He is a really nice guy and he was on time (10 minutes early even). We had a nice talk on the way to the airport and he was not in a hurry to get new customers at the airport at all, so over all a very good service for a good price. I can recommend this service to anyone ! Our aim is to be the cheapest airport taxi/transfers service from Coventry, Warwick and Kenilworth to Birmingham, Heathrow, Manchester, Luton, Stansted, Gatwick, East Midlands Airports. For a free online airport taxi quote just fill the quick quote form, Also call or email us. Small Additional charges may apply when paying via Paypal. © Cheap Airport Taxis | 2015 - present | All rights reserved.